EXPERIMENTAL STUDY ON TREATMENT OF RETINAL VEIN OCCLUSION(RVO) BY HUOXUELING-B. Feng Zhao-hui et al. 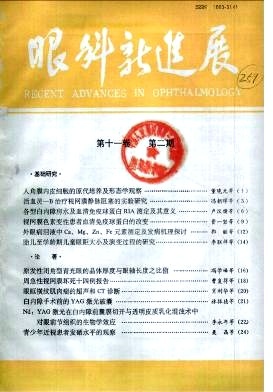 Department of Ophthalmology, The Second Affiliated Hospital of Xian Medical University.